I don’t often make things, not tangible things. 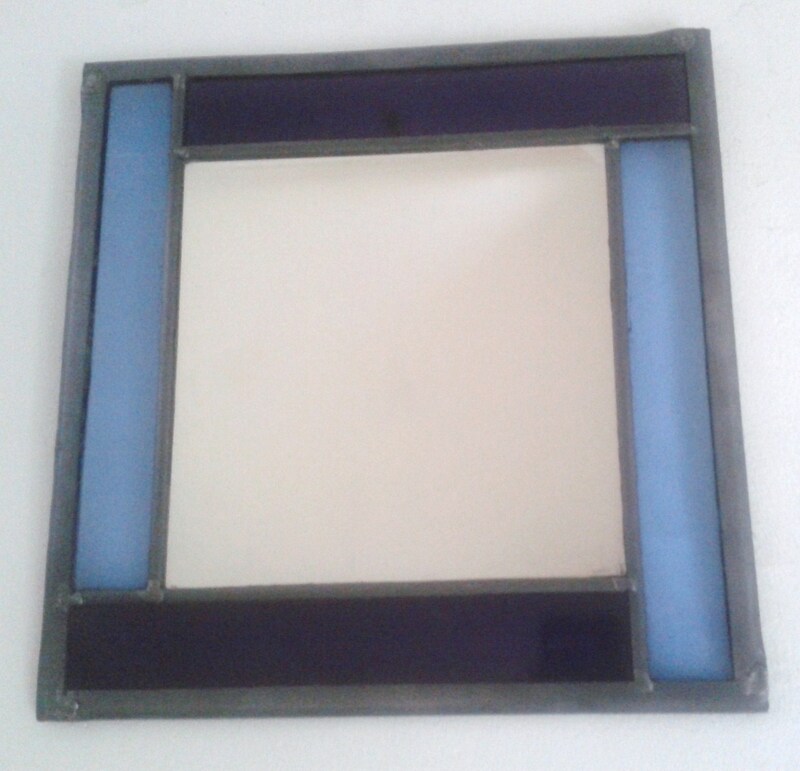 A couple of years ago, though, I was taught to make a square stained-glass frame for a mirror – constructed from four rectangles of coloured glass, held together with strips of soft lead. There were definite moments of drama in the process. The sudden ‘snap’ as a sheet of glass broke along the cutting line was one. Another was the instant when the solid metal collapsed into liquid under the hot tip of the soldering iron. It wasn’t a perfect job by any means, but I was proud to say that I’d made it with my own hands. I imagine that Lawrence, being from an urban industrial background, was thinking of utilitarian things – tools, machinery, perhaps furniture. To him, such objects transcended ‘mere’ usefulness because the love and care with which they were crafted made them also beautiful. Hard materials held ‘soft life’; unfeeling blocks were somehow ‘awake’. For things like this to be functional, they have to be precisely measured and securely fixed together: they have to be engineered. But the same goes, I think, for works of art whose main purpose is to be beautiful. I once put a short poem to music, and I found that it had to be built up piece by piece. First I mapped out the rhythm of the words, then turned the rhythm to melody. I fitted a bass line underneath, plotting chord progressions that my old A Level music notebooks told me would work. The missing notes of the chords went in next, including some discords and resolutions, all checked against the rules of harmony. Finally I assessed whether each of the four lines would be interesting enough to sing in its own right. It was a painstaking building project. I had to ask, would the underlying structure hold up and would the music do justice to the beauty and emotion of the words? It sounds pretty boring as a description of a supposedly creative process, doesn’t it? But I suppose it’s not much different from the way a watercolour painting is made, layer upon layer, or, indeed, how a working machine part is brought to life from a diagram littered with measurements. The important question, common to them all, is: have they been made with ‘wakened hands’? This entry was posted in Music and tagged art, craft, creative, engineering, making things, music, poetry. Bookmark the permalink.